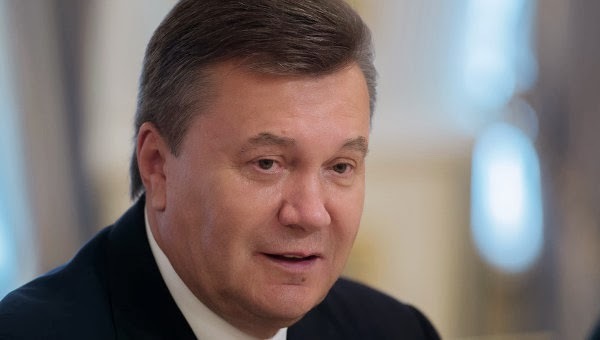 MOSCOW, Russia -- A senior Russian lawmaker said Saturday the EU plan to sign an association agreement with Ukraine has the ultimate goal of ousting the country’s leader Viktor Yanukovych. Does Kiev understand that the final goal of the “association” is ousting [President] Yanukovych?” Alexei Pushkov, who heads the international affairs committee of the State Duma, Russia’s lower house of parliament, said on Twitter. Ukraine plans to sign the EU deal, which includes a free-trade agreement, in late November. Moscow has warned Kiev that it might have to take protective measures to prevent the re-exportation of European goods from Ukraine to Russia. Russia and Ukraine have had a series of politically driven commercial spats since the fall of the Soviet Union, and the Kremlin is currently pushing for Ukraine to join a Moscow-led Customs Union with Russia, Kazakhstan and Belarus.